Thanksgiving is less than a month away. 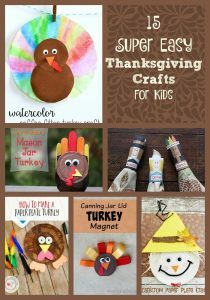 Have you ordered your Turkey yet? What is on your menu? 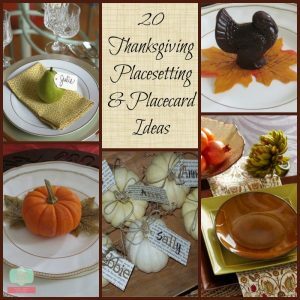 So many things to think about even if you are headed to friends or family this year. I like to test out a few Thanksgiving side dishes early so I can perfect it before the big day. While I love the traditional side dishes at Thanksgiving, I also like to mix things up with the fresh fall produce available this time of year. 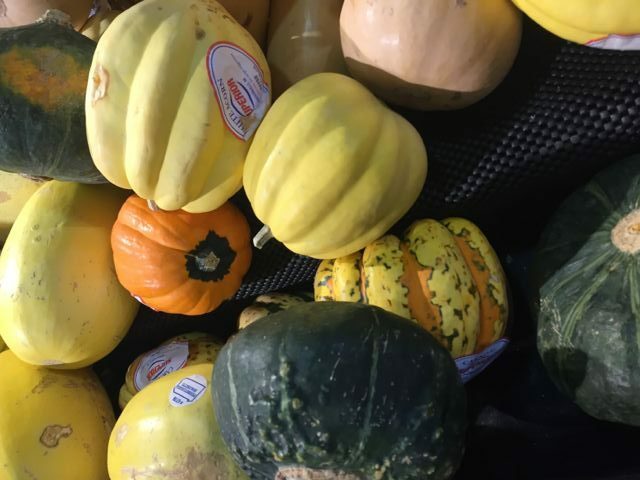 Acorn Squash is one that attracts me every year and I was going to make a sweet and savory side dish this year, Apple Stuffed Acorn Squash. You might wonder what inspired me so early? 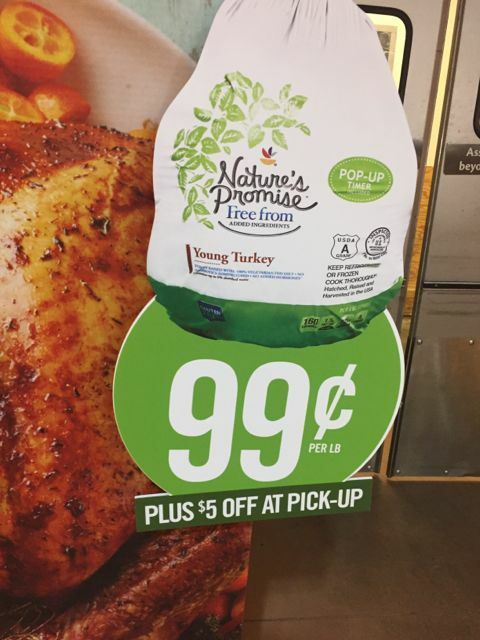 While shopping at our Martin’s Store I saw this sign to order my Nature’s Promise Turkey. 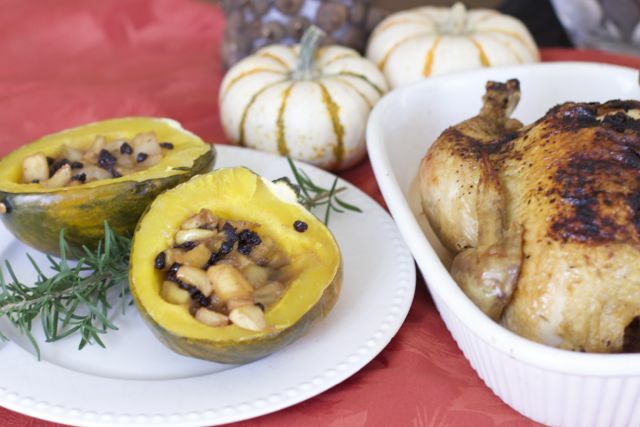 Since they would not be in for a few weeks, I picked up a Nature’s Promise Chicken to go along acorn squash. The desire to make this recipe was inspired by the beautiful display I saw at Martins. A one stop shop for all your Thanksgiving needs. I like this recipe because you can assemble them ahead of time and either cook them and leave them in the warming drawer or finish them in the oven right before dinner. Since we had a busy evening I even baked the chicken before hand and kept them all in the warming drawer. 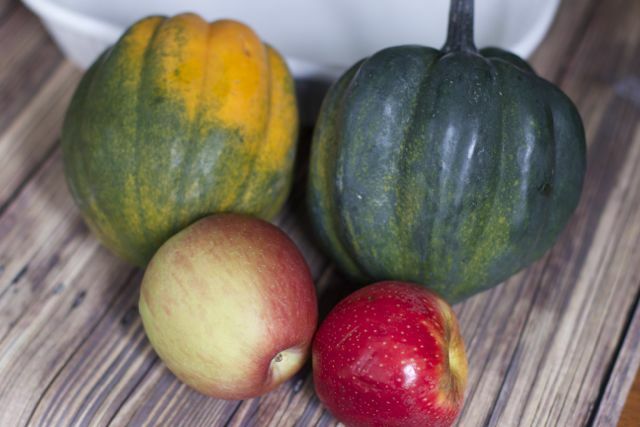 You will need apples, two acorn squash, a pear and apple cider. These are all great fall flavors. 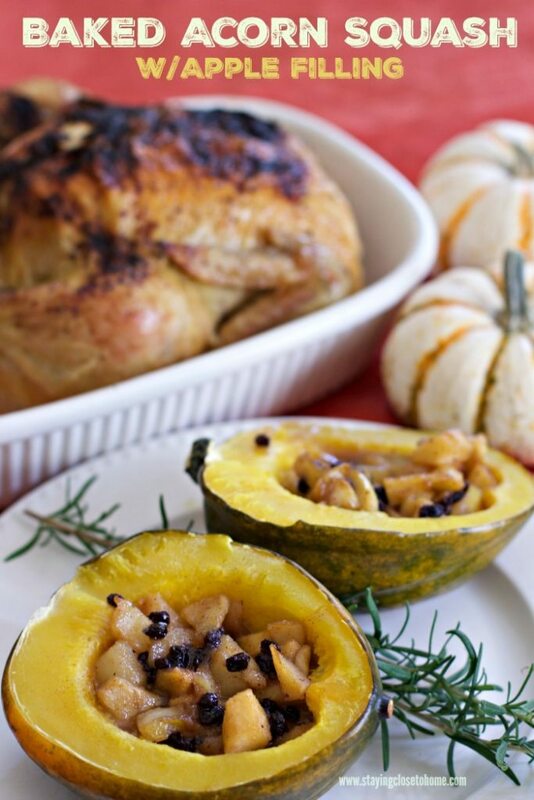 Cut the acorn squash in half and take out the seeds. Place them upside down in a baking dish and fill with about 1/4 inch of water. Bake 45 minutes. 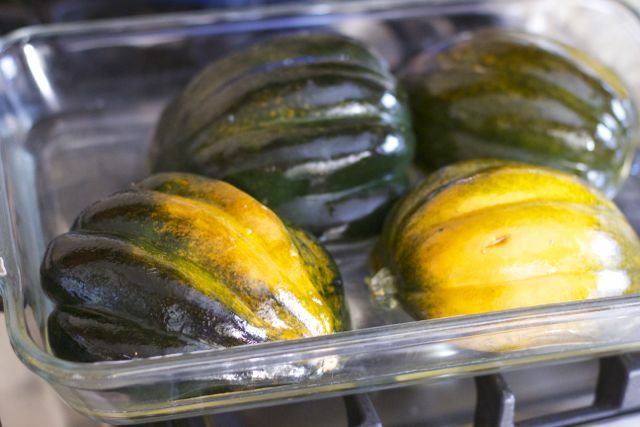 While baking the squash, prepare your filling on the stove top. Trust me you will want to eat this mixture straight from the pan. 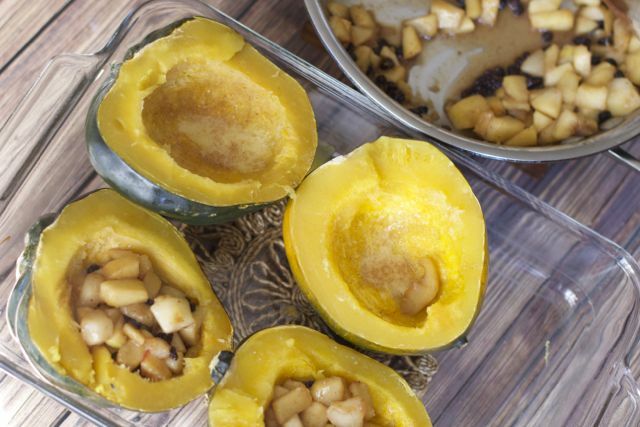 Once the squash have cooked, then you fill each cavity with the apple mixture and bake for an additional 15 minutes. If you want to serve this later, wait to bake it until dinner. What a great compliment to roasted turkey or chicken in our case. They are beautiful and can be halved for smaller portions. This is a filling but flavorful side dish. 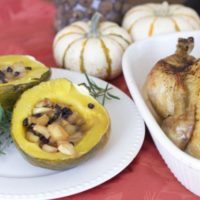 Acorn squash can be intimating but this is a simple fall inspired dish that your guests will enjoy. Preheat oven to 325. Butter a baking pan. Place the squash cut side down in the pan. Add 1/4 inch hot water. Meanwhile in a medium bowl, mix apples, pear, currants or raisins, brown sugar, orange zest cinnamon and nutmeg. In a large skillet heat the butter over medium heat until melted. 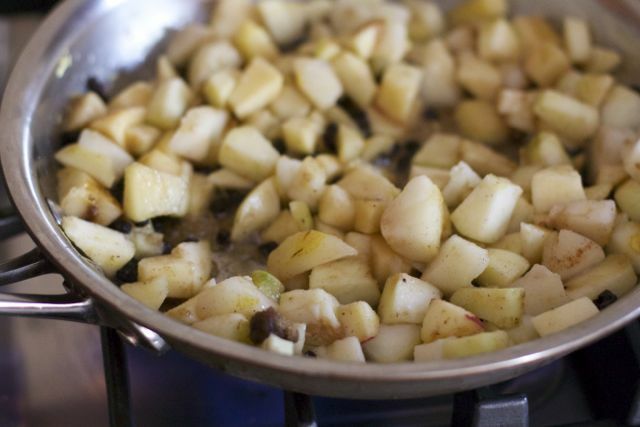 Add the apple mixture and cook until the fruit is golden brown. (about 5 minutes). Stir in the cider and bourbon. Simmer, stirring often until the fruit is tender. (about 8 minutes). Sprinkle with a tsp of salt. 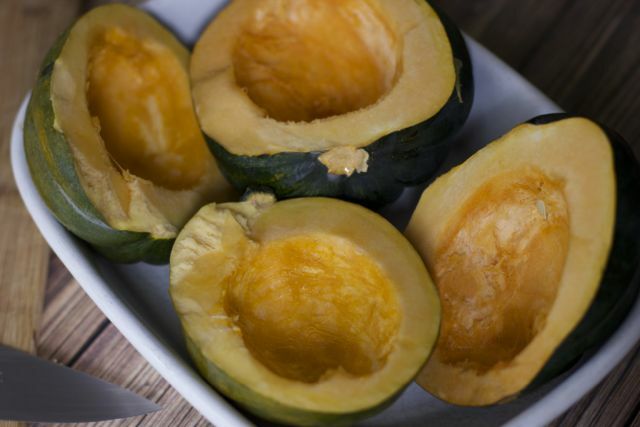 Remove the squash from the oven; pour off the water from the pan and turn the squash cut side up. Add about a tsp of butter in the cavities. 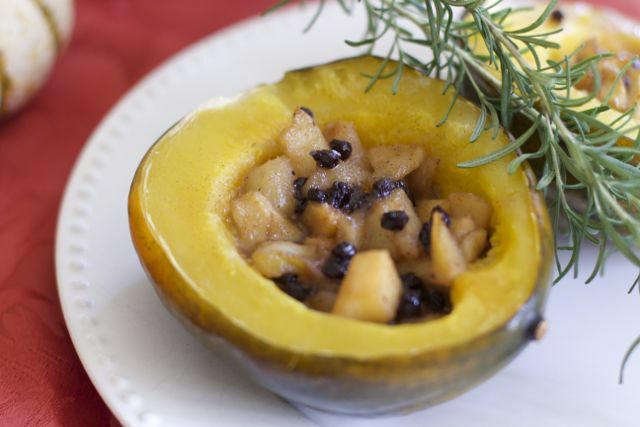 Fill the squash with the apple mixture. Bake until the squash is tender, About 15 minutes. Dollop a teaspoon of Cinnamon butter if desired and let melt. 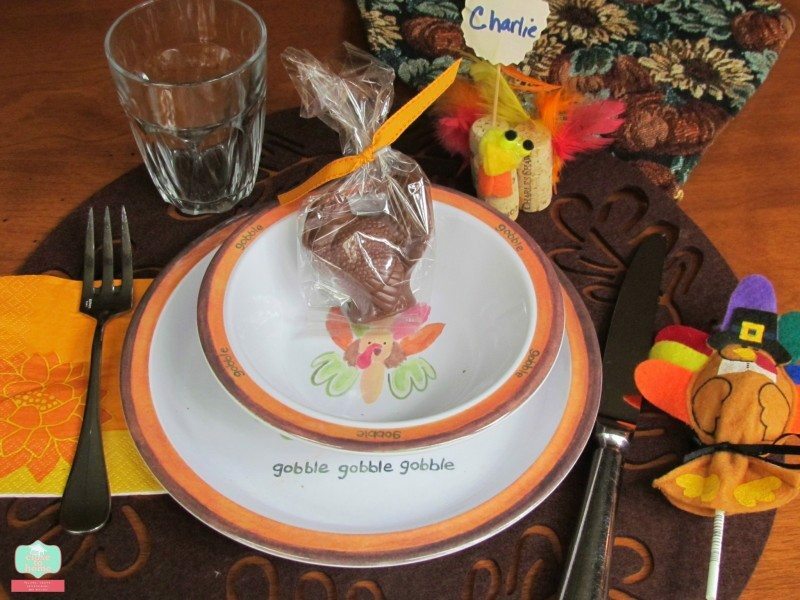 Be sure to order your Nature’s Promise Turkey easy. These turkeys are fresh not frozen so there is no worry about getting caught on Thanksgiving with a frozen turkey. Now Save $5 off your Thanksgiving Dinner for new online customers at your Martins Food Stores. looks like something my mom would love.she loves squash. I love this idea for those little surprise parties. Have a wonderful day! YUM! 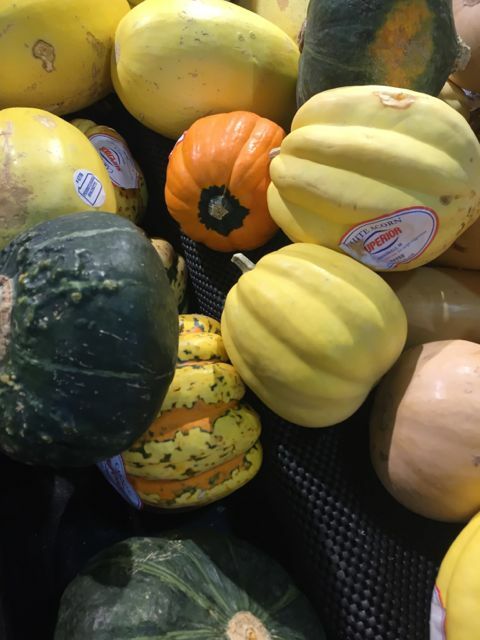 I love squash this time of year. I never thought to pear it with apple. This sounds delicious! What a unique combination of fresh and delicious ingredient. I love both but would not have considered combining them. I love this idea! Even the way it is served is so unique! I am putting this down as my side dish to bring this year!